Loudoun’s largest lake is a quiet place, disturbed only by singing insects, birds on the wing, wind in the trees, and paddles lapping up the water. It’s also artificial, and it’s getting drained in November. The county’s largest water utility, Loudoun Water, will partially drain Beaverdam Reservoir to repair the spillway that created the lake, work regulated by Virginia dam safety rules. 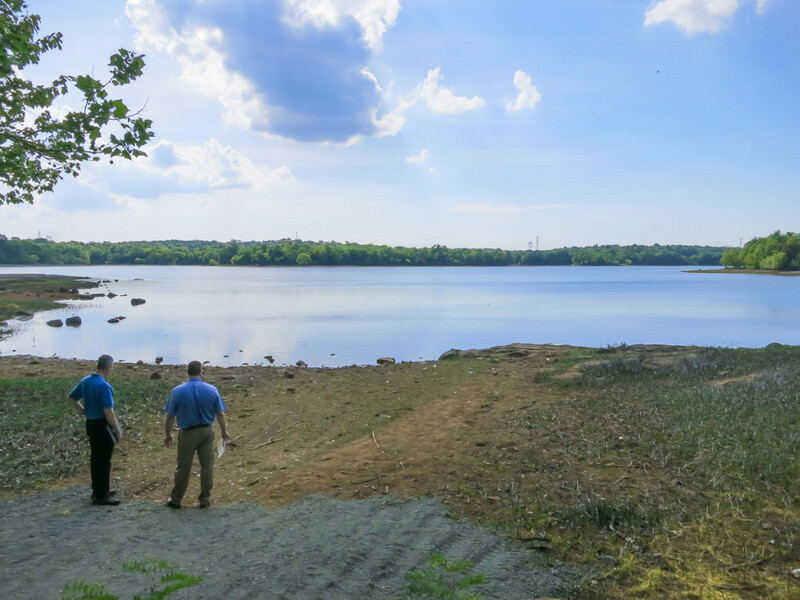 The reservoir is expected to be closed for about two years, but when it reopens in 2019, Loudoun Water and the Northern Virginian Regional Park Authority hope it will be bigger and better for visitors. “If you’ve ever driven up and down Belmont Ridge Road on a Saturday, you’ll inevitably pass people with kayaks and canoes on top of their cars,” said NOVA Parks Director of Park Operations Chris Paulie. His organization manages public access to the reservoir’s waters, and he estimates thousands of people use the lake, including the high school crew teams that practice on the body of water. And more people try the lake all the time. Loudoun Water purchased the reservoir from the City of Fairfax in 2014 and initially closed it to public assess, citing liability concerns. It reopened the property in May 2015 by partnering with NOVA Parks, but Paulie said it was only ever meant to be a temporary solution. On sunny Saturday mornings, he said, the small parking lot on Mt. Hope Road can be a little tight. That was expected. That will limit the possibilities for the lake somewhat, since Loudoun Water doesn’t want to allow contamination for one of its major water sources. “It’s a drinking water resource first, so whatever we do has to meet those standards, so anything that we think about, or envision, or want to plan, would have to always be done under those guidelines,” Paulie said. That means no swimming, and except for safety launches, no gasoline engines on the water. But paddling, hiking, picnicking, sightseeing, fishing, electric motors, bike trails, and classroom visits are all in. The process has already begun with a meeting at the NOVA Parks offices last October. According to a report from that meeting, about 200 people showed up to hear Loudoun Water’s plans and offer their input. They produced a long list of ideas, ranging from marked and separated trails for hiking and biking to buoys and extended hours for fishing.“It’s basically going to be a great passive recreation park, with some real amenities and a message for how the resource is being protected,” Paulie said. “When we do close it for a little while, I think there will be a little bit of disappointment, but I think people will be excited by what the reservoir will be,” said Loudoun Water Manager of Outreach and Education Sue Crosby. And before then, if you have a canoe, a paddle, and a few hours free, you have until November to take in the quiet at Beaverdam Reservoir. Here is a nice article from the Washington Post regarding the temporary closure to the reservoir starting this fall. Last Sunday morning, dozens of water enthusiasts arrived at a cramped parking lot, traveling solo or in small groups. They unloaded brightly colored kayaks, paddle boards and canoes from their vehicles and pushed off from a small incline into a shimmering, 600-acre body of water. A fisherman cast his line from the shore nearby, while another dropped his line from a boat a few hundred yards away. A great blue heron flew back and forth, close to the surface, scanning for food and occasionally landing on the shore to take in the scene. The tranquility at Beaverdam Reservoir was striking, in part because it is such a short distance from the traffic and bustle of Ashburn. Because the reservoir supplies drinking water for thousands of Loudoun residents, the scene was undisturbed by the sounds of gas-powered watercraft, which are prohibited to protect the water quality. 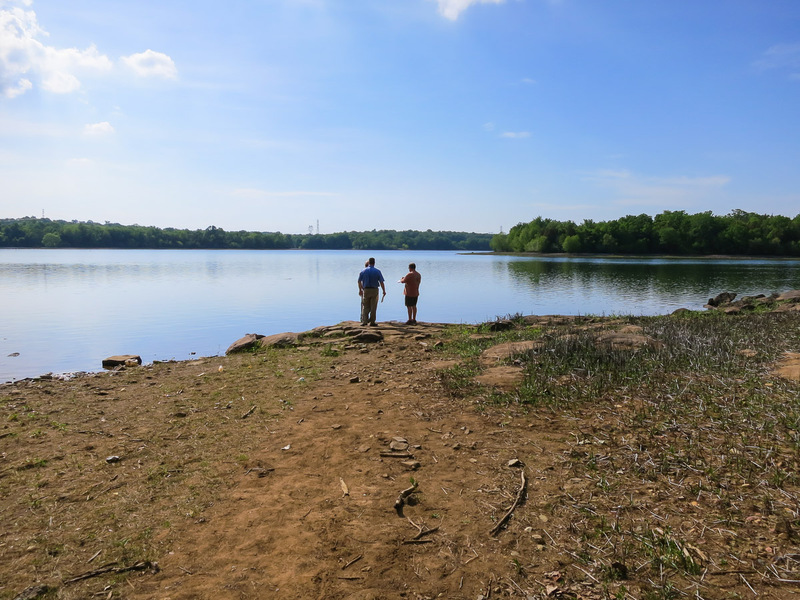 The park is open daily from dawn to dusk — but not for long, said Susan Crosby, a spokeswoman for Loudoun Water, the utility that owns the reservoir. On Nov. 1, the park will close for two years for repairs that will bring the dam and spillway up to state standards. It will reopen permanently in 2019, she said. The 1,000-acre public park includes the reservoir and adjacent land, much of which is wooded. Beaverdam is accessible from Mount Hope Road, just west of Belmont Ridge Road, near Ashburn. Despite getting little publicity, the reservoir is a popular spot for outdoor recreational activities, park manager Dale Riggs said. “On a busy weekend day, we’re doing 300 or more [visitors] at Mount Hope parking area,” Riggs said. The most popular water activities are kayaking and paddle boarding, Riggs said, adding that four high school crew teams also practice there. There is a two-mile unpaved hiking trail along the east side of the reservoir, and another trail is planned for the west side, he said. “We can’t make it a loop [around the reservoir], because the dam is off-limits,” Riggs said. Before Loudoun Water purchased the reservoir from the city of Fairfax in January 2014, recreational use of the property was not supervised, Loudoun Water spokeswoman Crosby said. In spring 2015, Loudoun Water closed the reservoir for a few months. The utility’s primary objective has been to protect the water supply, she said. “Obviously, we’re concerned with the fact that it is a drinking water reservoir, which is why it’s more of a passive recreation park,” she said. 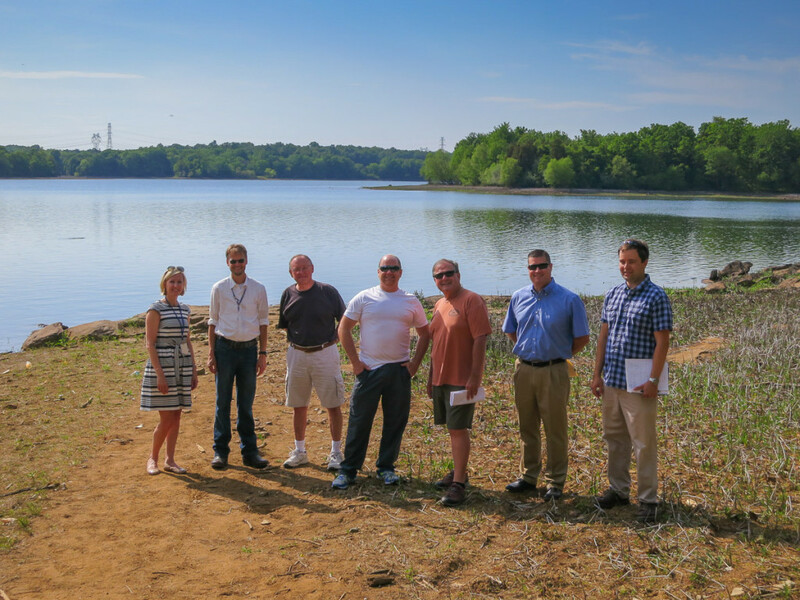 After completing an assessment of the property, Loudoun Water determined that it was safe to use the reservoir for public recreation, and it partnered with Nova Parks, the Northern Virginia Regional Park Authority, to reopen it last summer. Loudoun Water and Nova Parks had a community meeting in October to gather input on how the park might be used. About 200 area residents attended, Crosby said, providing comments on topics such as environmental stewardship and education, nature appreciation, hiking, fishing, paddling, rowing and picnicking. While the park is closed, Loudoun Water will work with Nova Parks to create a land-use plan for the property, drawing on feedback from the community input session, Crosby said.